Method to the Mayhem: Mayhem Studios featured in WIRED article "What Your Klout Score Really Means"
Mayhem Studios featured in WIRED article "What Your Klout Score Really Means"
I am featured in the WIRED Article, "What Your Klout Score Really Means." Klout measures your online influence but not necessarily your real life influence. I believe it can lead to real world by building your online influences and connections. I 'm a big believer in Klout. The article is broken down into several topics; How employers are using Klout scores as a factor in hiring, Klout Perks and the pressures of keeping your score up. I was interviewed about my experiences with the Klout perks and Klout in general. 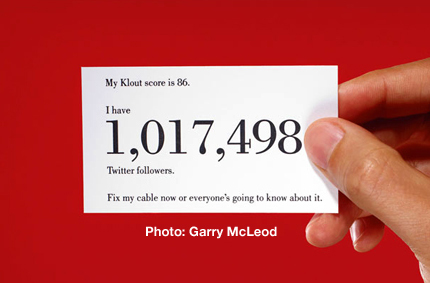 You can read the full article over on the WIRED website, "What Your Klout Score Really Means."